As autumn fades, the most magical time of year approaches. The coming days bring excitement, resolutions, and celebrations large and small. It’s the most wonderful time of year. If that doesn’t sound exciting to you, perhaps this will hold your interest: did you know that the earlier you file your taxes, the sooner you can collect any refund the IRS may owe you? That’s why it’s best to start thinking about the paperwork you might need to file federal and state income taxes as soon as possible. If there’s something you need, it is almost certainly easier to find it before the April deadline arrives. First, your tax preparation assistants will need to determine that you are you. You will need your photo ID and social security cards for you, your spouse and dependents. You will also need to know the birthday of every dependent to be listed on your tax return. Next, you will need written proof of any and all income you or your dependents earned during the calendar year 2018. This will usually take the form of a W-2 from your employer, but it might also be a 1099-R or 1099-Misc, depending on the nature of the income received. If you earned income from any bank or investment accounts, you should have received a Form 1099-INT or Form 1099-DIV listing the amount of interest earned during the year. This amount must be included on your income tax return. While most active-duty military members have Tricare as their insurance provider, military members are advised to retain their Form 1095, proving health insurance coverage for the entire year. While taxes can be prepared and filed without this form, retaining this form for future reference is always prudent. If you receive a refund, supplying your bank routing number and account information will help you receive it quicker. This information is present on any paper check from your checking account. If you do not have a check, you can obtain this information directly from your bank. If you have dependents that do not have social security numbers, you will be required to provide an Individual Taxpayer Identification Number (ITIN) assignment letter or Proof of Foreign Status. Your tax preparer can help you navigate this process. Lastly, if you have significant deductible expenses, for example, a home business or daycare expenses, proof of these expenditures is necessary to properly file income taxes. You must obtain any daycare provider’s tax identifying number such as a social security number or business Employer Identification Number. 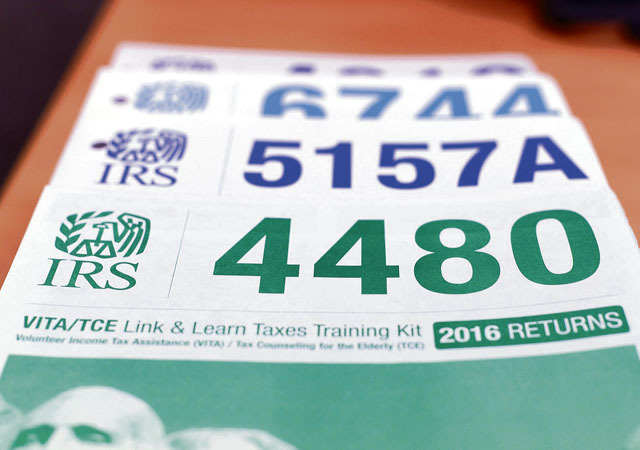 With these documents ready, the volunteer income tax assistance program at the Ramstein Law Center can help you file your taxes quickly and accurately. If you are interested in helping your community, the Ramstein Law Center is still looking for volunteers to help service members, their dependents, and retirees file taxes this upcoming season. This also gives you an opportunity to learn about the new Tax Cuts & Jobs Act. Training starts early January 2019. Please don’t hesitate to contact us with questions at DSN 480-7692 or commercially 06371-47-7692. We can’t wait to get started!